Tropical Cyclone Trevor poses no threat to ports on the east coast of Queensland at this point. 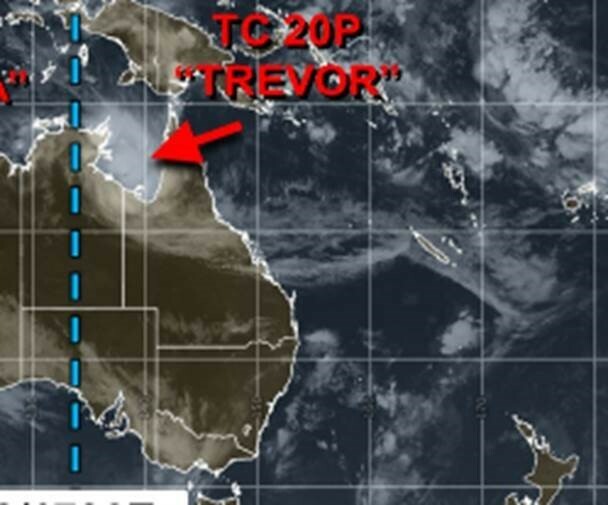 Please find below the latest from the Bureau of Metrology on the expected path of Tropical Cyclone Trevor. The very destructive core of Severe Tropical Cyclone Trevor is approaching the coast between Port McArthur and the NT/Qld border. 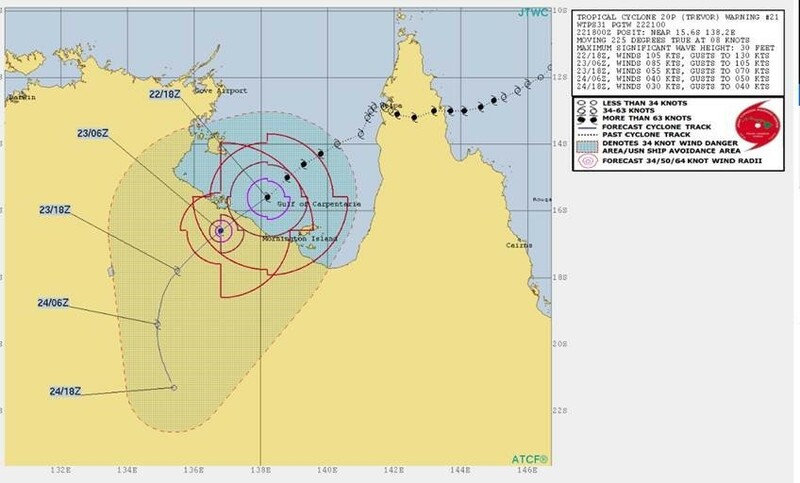 The VERY DESTRUCTIVE core of Severe Tropical Cyclone Trevor is forecast to cross the southern coast of the Gulf of Carpentaria between Port McArthur and the NT/Queensland Border Saturday morning with VERY DESTRUCTIVE WINDS, with gusts to 275 km/h near the cyclone centre as it approaches and crosses the coast. Intensity: Category 4, sustained winds near the centre of 175 kilometres per hour with wind gusts to 250 kilometres per hour. Location: within 20 kilometres of 15.5 degrees South 138.2 degrees East, estimated to be 165 kilometres northwest of Mornington Is and 215 kilometres east northeast of Borroloola. Severe Tropical Cyclone Trevor is now a category 4 system. The very destructive core is expected to cross the Northern Territory coast on Saturday morning.